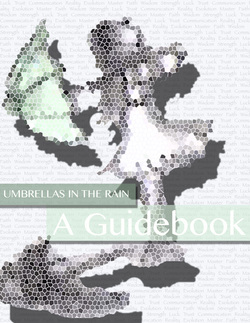 "Umbrellas in the Rain Guidebook: Find, Forgive, Accept Yourself." And as always there is always a treat for those who are subscribed to my Monthly Newsletter, "Note to Self." It's about that time!!!!! Every year I LOVE to fundraise for a cause I believe in, not to mention the hours and hours of volunteer work. This year I chose Bright Pink, after joining Team "Simply the Breasts" for a 5k Mud Run. "Mom and Dad say I have to go to College: A Big Sister's Guide on making your own decisions"
My latest book is out NOW. Available only on Amazon.com for $4.99 What are you waiting for? The worst case scenario is you lost five bucks, unless you prefer to be overwhelmed with school debt or unhappy because you don't know what to do next. So, what happens after high school? Give to Girls on the Run NOW. Danielle LaPorte-"The Fire Starter Sessions: A Soulful + Practical Guide To Creating Success On Your Own Terms"
Dr. Lissa Rankin-autographed copy "What's Up Down There"
Mama Gena-"Mama Gena's School of Womanly Arts"
Anonymous-"Mennonite in a little Black Dress"
Proceeds will benefit Girls on the Run Chicago. 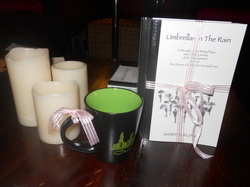 "Umbrellas In The Rain Guidebook" mirrors my memoir, “Umbrellas In The Rain...” It is from the perspective of what I see now when I look back; one chapter at a time. The shadows from my past are brought to light with the wisdom of hindsight. It is easy to pinpoint errors from the past when we are an outsider or when we look back. I ignored red flags, sometimes because I didn’t know they were red flags. I believed I was stuck, when in reality I wasn’t. I made excuses, cared about what others thought, and tried to keep everyone else happy without ever considering my own happiness. This Guidebook points out red flags, provides actions steps and brings the reader up to date with new developments since the book ended. The truth really does set you free and I tell you how and why. Message to the sleepwalkers: Wake up and live your life!!!! 1-Hand bound book by Chicago Artist Rebecca: KRYSTLE!!!! Enjoy the book! 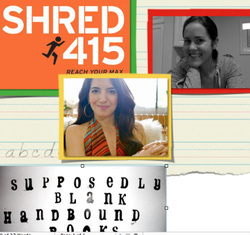 3-”Make Every Man Want You” eBook by Marie Forleo: LIZ!! It was a pleasure meeting you. Thank you! Honored to be have presented at the Hispanic Heritage Foundation’s for the Youth Awards Regional Awards Ceremony at the University of Chicago. Presented three Science Awards. Congratulations to all of the recipients! Great to meet so many wonderful, intelligent, passionate, high school seniors going to college. Good Luck! Do what you love and you will be happy. Live by example for yourself and for the many others who will follow. Live life passionately! Truly one of the most unforgettable nights of my life! Unexpected, deep femme connections created from the energy in the studio. I played Depeche Mode’s “The Sinner In Me” which I feel connects me to my book even though I discovered the song after writing my book. Thank you Ladies for leaving me with something deeper than I could ever imagine! One of the fondest memories, truly! Had a wonderful time starting my book tour in my home town Chicago with S woman!!! Grateful for the love and support S Factor has for me! Thank you from the bottom to the top of my heart and soul. Love You! A special thank you to my sisters and my cousin who were present to support me. This is only the beginning of great things to come. The love I was given is unforgettable and I hope to share many more memories. S Factor changed my life. I said it once and I will say it a million more times for the rest of my life. I was able to connect to my true nature being 100% confident in who I am on the inside as well as the outside. I learned to appreciate and accept myself. I could never forget the time in class I caressed my face and neck ever so gently with my fingertips before they continued on their journey.